"I will continue to represent China in competitions, and I want to win more 1st positions for my country!" 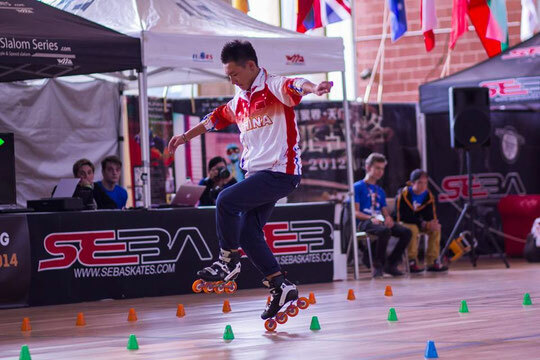 Ye Hao Qin, Vice-World Champion of 2014 in Battle, Men’s Freestyle Slalom World #2 and brand-new leader of the Men’s Speed Slalom World ranking, gives us his impressions on his successful season and his plans for the upcoming year in this interview. P.S. Are you satisfied with how you improved personally in 2014? Y.H.Q. Yes, I suffered from a tendon injury last year, but still, I managed to win quite a number of prizes, so I’m really satisfied with last season. P.S. You said in your last interview that due to your tendon injury and your studies you will to be able to take part in any competition in 2015, but will be back in 2016! Is this information still relevant, did you change your plans for the upcoming season? Y.H.Q. No, I changed my mind. I consulted a doctor and after an intensive check-up I discovered that I just needed to rest for my tendon to heal itself. My recovery is faster than I expected: my physical condition is now good and satisfactory. So, this year, I’ll continue to compete. 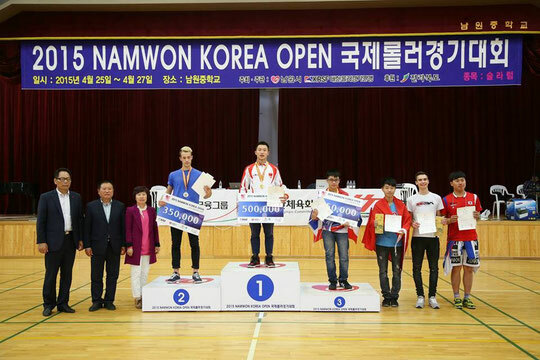 As you can see, I participated in the Namwon event last month. And as for 2016, it will all depend on my physical condition and my doctor’s opinion. P.S. What do you think was your best competition performance in 2014? Y.H.Q. I think that would be the IFSC (Singapore). P.S. How does it feel to be at the top of the World Ranking? Y.H.Q. It feels so great, but at the same time there’s a very heavy pressure. I have to train hard to keep my ranking. P.S. Did you expect this? Y.H.Q. No, I would never have! P.S. Do you think it possible for you to stay on the top of the ranking for a while? Y.H.Q. I think it’s possible for me to stay at the top until the WFSC, which usually brings up significant changes to the world ranking. P.S. What did you think and feel about the WFSC 2014? Were you satisfied by your results or did you expect more of them? Who impressed you the most? Y.H.Q. WFSC 2014 was a great and successful event. But personally, I’m not satisfied by my results as I suffered from a tendon injury before going to Paris. I did not do well and did not get what I wanted. 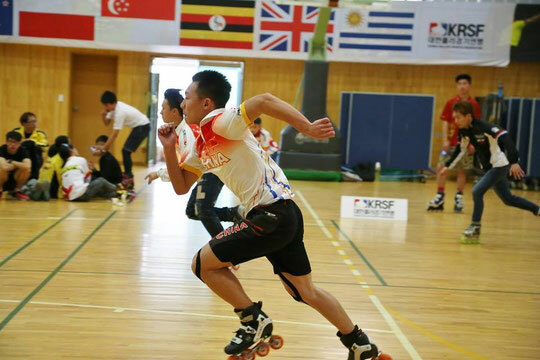 Two skaters made a very strong impression on me during the event: Sergey – I was totally amazed by his great improvement in such a short period of time, and Zhang Hao – his classic run was simply perfect, he did very well in both an technique and artistic side. P.S. Do you have any regret for this year? Y.H.Q. My only regret is that I didn’t win in the Paris WFSC Battle. P.S. What are your goals for 2015? Y.H.Q. I will continue to represent China in competitions, and I want to win more 1st positions for my country! P.S. Do you have any special persons you want to thank to end this interview ? Y.H.Q. I want to thank my teammates and my coaches, and everyone who helped me a lot, particularly my doctor.